In spring, red twig dogwoods produce a pretty flat flower. In summer, gardeners rely on flowers and foliage for color. But what do you do in winter? 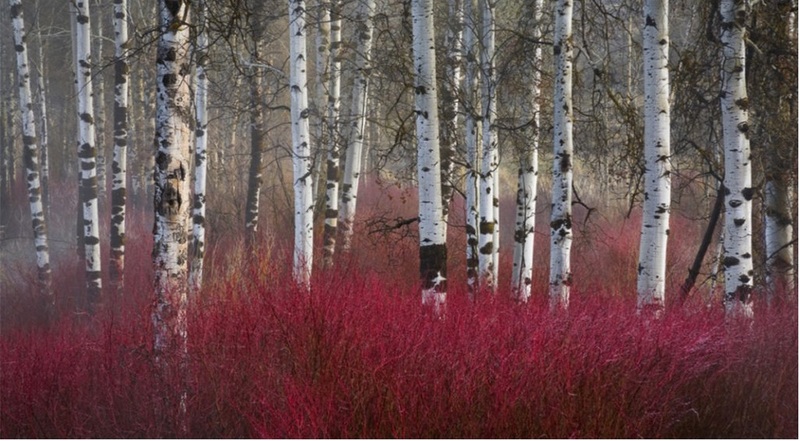 In Minnesota and other northern or snowy places, planting red-twig dogwood is one solution. This hardy shrub features bright red stems that stand out against a backdrop of snow. 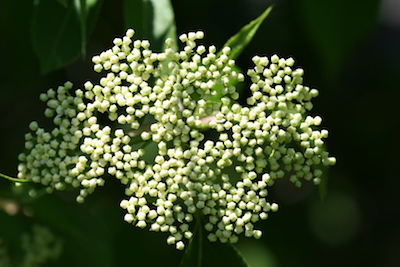 Botanically the plant is Cornus sericea or Cornus stolonifera, but it goes by many common names, including red twig, redosier, western dogwood, or American dogwood. About 10 years ago, the University of Minnesota introduced a variety called Cardinal that is especially suited to the north and has cherry-red stems. Red-twig dogwood looks great planted in a group. For many years, I had a half-dozen in a large bed on the corner of our yard. Red twigs can grow 8 feet tall and have lovely up-facing white flowers that bloom in May or June. New varieties have been introduced that stay smaller and still have bright red winter stems. Red-twig dogwoods do require regular pruning, though, to keep growth in check and to produce the brightest stems, which tend to be young stems. One nice thing about having to cut the stems is that you can use them in holiday decorations. I trim my red twig dogwood, one-third of the limbs a year. I do this in January and bring the stems I have trimmed into the house and put them in water to leaf out. It is a great way to start spring early! when you say one-third of the limbs, does that mean you cut back each limb 1/3 of the way, or does it mean you cut completely 1/3 of the number of limbs you have…so if it has 9 limbs you would cut 3 of them completely back? Don: You reduce the number of limbs by one-third — so, if there are nine cut out three, usually the older scraggly looking ones.